The true mark of craftsmanship is in the details. From the crown molding to the fireplace mantel, no detail is overlooked in the finest homes. At Matthews Construction and Design, we have more than four decades of experience guiding our hands. Owner and president Brian Matthews has designed and built countless custom trim and carpentry projects for homeowners in Washington, D.C. and Montgomery County, Maryland. 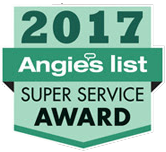 Our experience, our artistic vision, our consistent communication and our unrelenting attention to detail are a big reason why our customers have rewarded us with an A rating on Angie’s List. We design and build custom trim, including crown molding, wainscoting, chair rails, mantels and decorative trim of all kinds. We also specialize in custom built-in bookcases. From basic to complex, we can craft custom crown molding or install stock crown molding to the finest standards. If you need an exact match of crown molding in your home, or have a photograph showing the style you’re looking for, we can custom cut crown molding to meet your specifications. Wainscoting and chair rails add an elegance to a room that can increase your home’s value at an affordable price. Decorative wainscoting and chair rails can be designed and installed in a range of styles to match the existing trim within your home, or completely transform a room with a new, classical feel. Fireplaces are the centerpiece of many homes, and the mantel is what makes a fireplace shine. Let us craft a custom mantel that will transform your fireplace into a centerpiece. We can craft surrounding cabinets to go along with the mantel as well. Custom bookcases make the best use of space and become a beautiful focal point where you can showcase your collections of everything from classic books to family photographs. Custom bookcases can be done as a remodeling project on an existing home or designed into the plan for a new addition. A custom bookcase should take into account several functional considerations, aside from the aesthetic beauty of the piece. How will the bookcase be used? Will it store heavy items like a television or large book volumes? Does it need doors and enclosed storage anywhere? How many shelves should there be, and what width and depth should they be? Will it feature and benches or seating? Will it be built around an existing doorway or window? We can help you understand your options and design a custom bookcase to your exact specifications. At Matthews Construction and Design, we work with our clients from start to finish to meet their needs. For custom trim carpentry in Washington, D.C, Chevy Chase, Takoma Park, and all of Montgomery County, contact us today for a consultation.